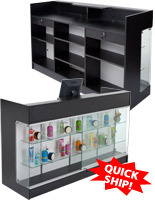 Why are these the top selling display cabinets? 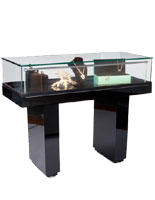 Our countrywide consumer base has consistently demonstrated interest in our glass and wall showcase displays! 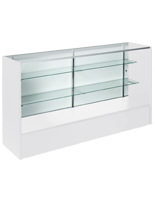 These display cabinets include a variety of sizes, shapes, and styles. 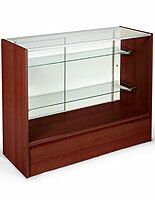 DisplayCabinets2go.com allows you to pick from trophy curio cabinets with polished metal exteriors, wooden exteriors, floor-standing models, wall hanging models, or hexagonal designs. 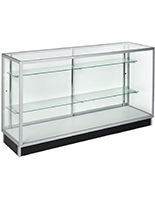 These display cabinets, also known as retail display cases, come with tempered glass slide doors to make your showcase as rugged as possible. 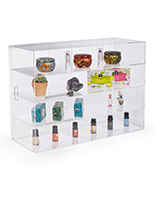 All wall showcase models have adjustable glass shelves for accommodating large or small collectibles. 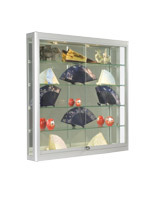 These display cabinets are great additions on any school, home, or company wall. Showcase your athletic or academic trophy collection to promote personal or scholastic pride. 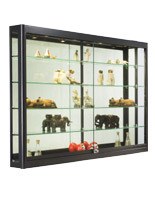 No matter their function, these trophy curio cabinets are guaranteed to get your showcase objects noticed. 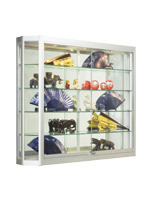 DisplayCabinets2go.com offers display cabinets with high quality lighting. 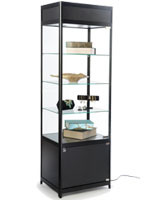 All best selling trophy curio cabinets have at least a halogen top light system to illuminate the showcase. The wall curio cabinets come with an easy to use switch to control your light display. 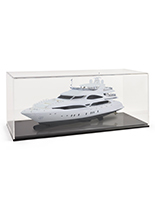 Many trophy showcase models include adjustable track lighting along the side of the display case and mirror decks at the bottom. The lights serve to spotlight individual showcase objects. 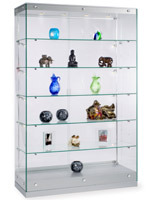 These display cabinets range in number of glass shelves from four to five and securely clip into position. 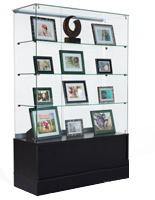 Purchase a showcase with a polished black or silver metal frame. 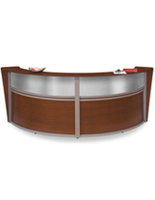 Cherry wood finish and oak wood finish are also accessible. Browse our full vision glass models in this category. 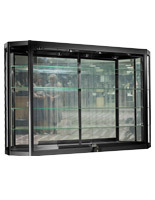 When you are in the market for commercial display cases, our online warehouse has the best showcase for you. 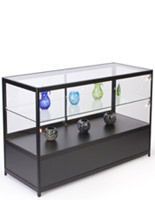 How do I assess these best selling display cabinets? 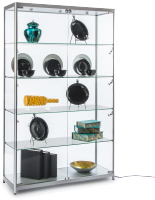 Our online warehouse has retail display cases, curio cabinets, trophy cases, and showcase accessories for sale. 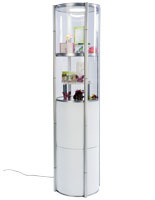 There are plenty of wall mounting and floor standing models for your company or personal use. 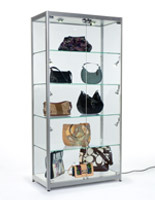 As an online leader in glass curio cabinets, our mission is to be accessible for any inquiries you may have. Our live chat feature is obtainable Monday through Friday from 9:00 a.m. to 4:30 p.m. EST. You may also contact our consumer service experts via phone or e-mail. 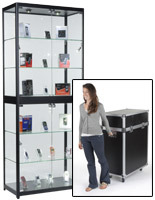 Order commercial display cases, or any showcase accessory, by 1:00 p.m. EST and it ships the same day!